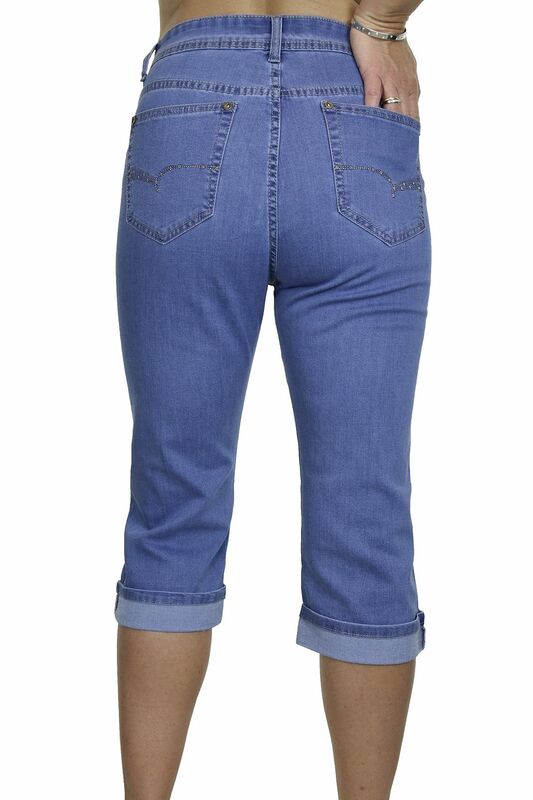 You are looking at a pair of crop leg denim jeans. The fabric is stretchy and has been faded to mid blue. 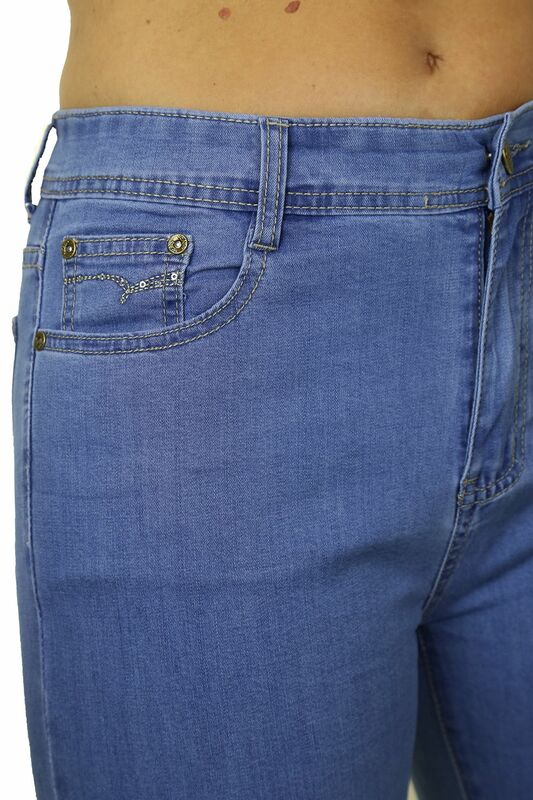 The front has 3 pockets with bronze colour rivets. 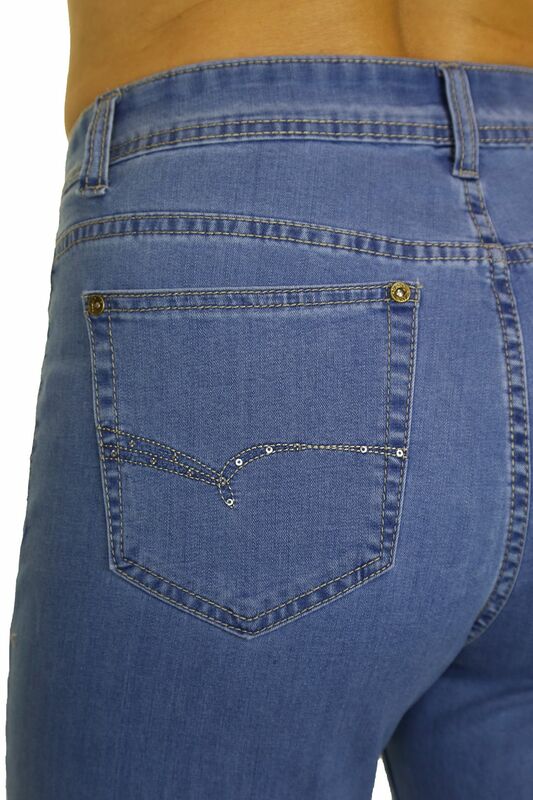 The back has 2 pockets with matching rivets and sequins on stitch detail. On the front small pocket there is matching sequins on stitch detail. The waist band has belt loops, and a bronze colour metal stud button. 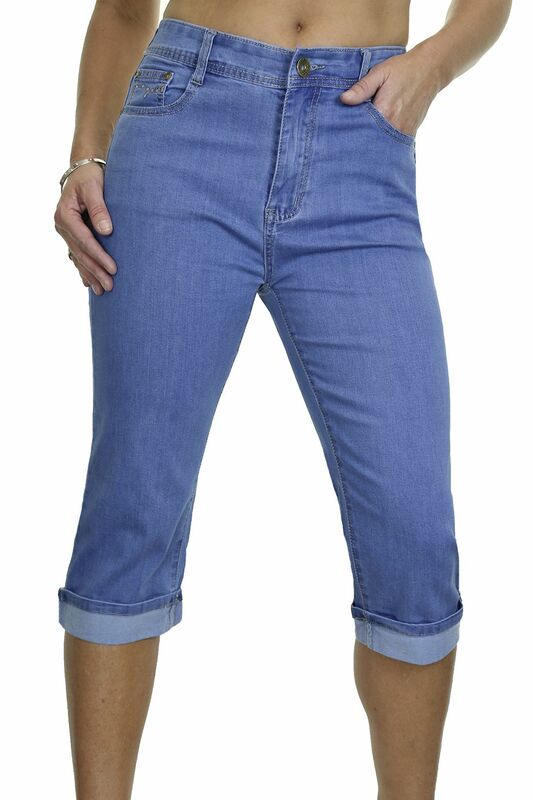 The bottoms have a turn up cuff to contrast.